We are thrilled to welcome our new Outreach Coordinator, Christina Larkins. Christina joins our team as a full-time volunteer through the AmeriCorps VISTA program. Christina is a children’s illustrator with a background in art and a passion for literacy. She holds an illustration degree with a focus on community engagement and service learning from the Kansas City Art Institute. For her literacy is personal, being diagnosed with dyslexia early on meant learning to read was a constant struggle, but that has not stopped her from becoming an avid book worm as an adult. She says, “The support I received from countless teachers and librarians growing up was fundamental to my success. Now that I am older, I just want to return the favor for the next generation of kids.” Like many children, the help she received was essential for her overall health and future. Working for Reach Out and Read is the perfect combination of the two. 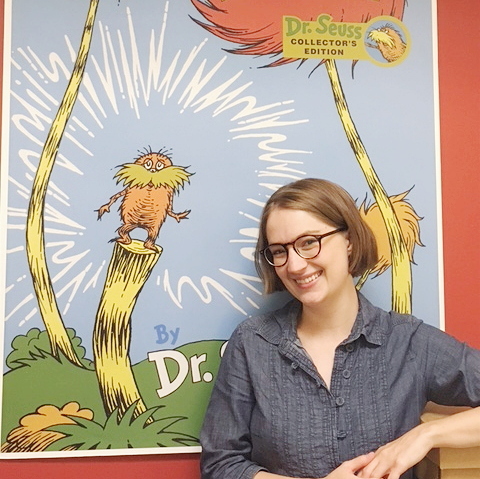 After her year of AmeriCorps service, she plans to pursue a Masters in Library Science with a focus on early literacy.